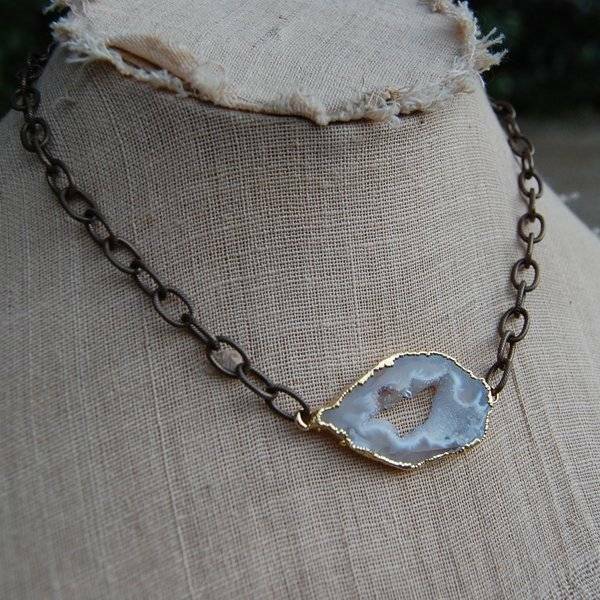 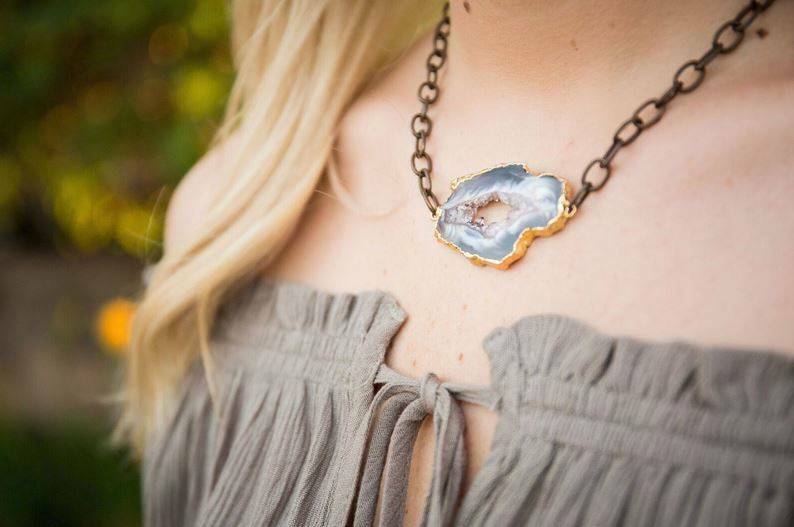 This is a sliced Agate pendant in Gold leaf on antiqued etched Brass chain with a lobster clasp enclosure. 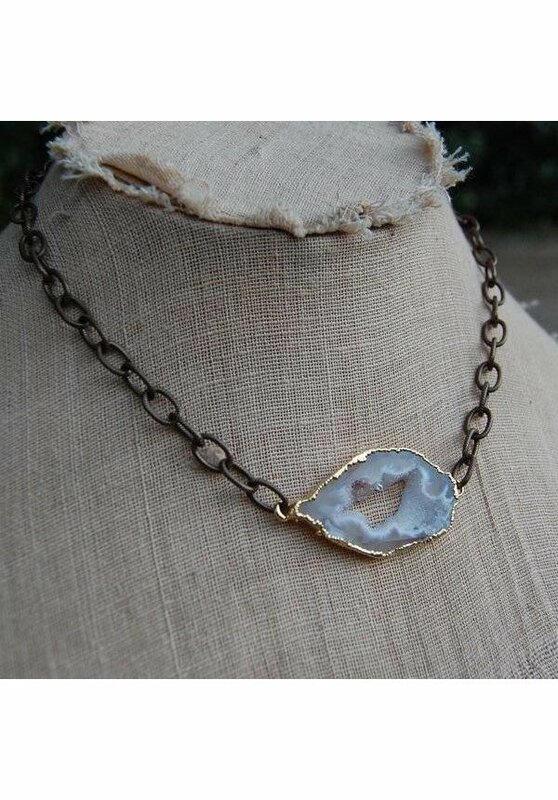 All of the Agate pendants will vary, but they are ALL Amazing! 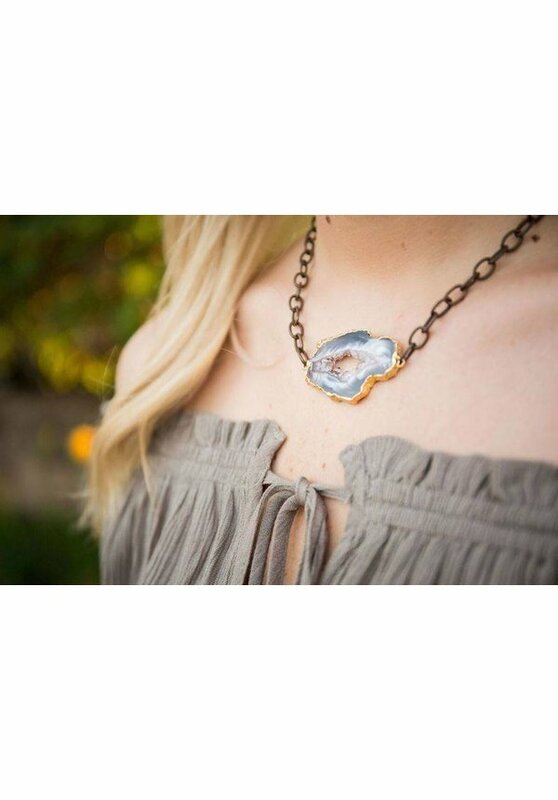 The necklace is approximately 17 inches long but can be made shorter on any link.